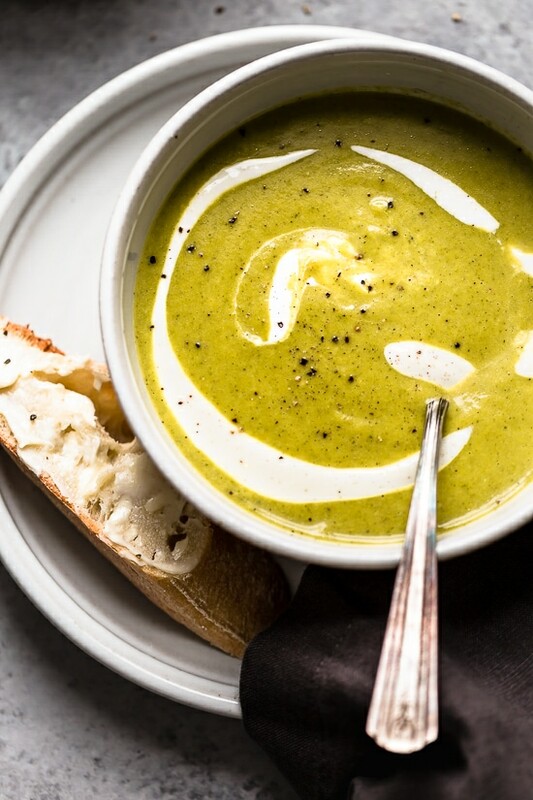 Cream of Broccoli Soup is a favorite of mine, this slimmed down version is so good, and it’s quick and easy to prepare. I love making creamed soups, a few favorites are Broccoli Cheese and Potato Soup, Cream of Asparagus Soup and Cream of Zucchini Soup. It’s perfect for lunch with some bread on the side, or serve it for dinner with a sandwich.